Collecting three deadly one-shots! 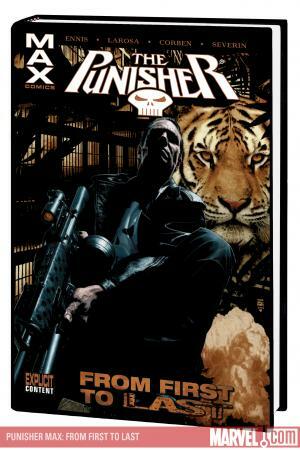 THE TYGER: Long before he waged a one-man vendetta against organized crime, long before he was young lieutenant waging war in the jungles of 'Nam, Frank Castle was a 10-year-old boy growing up on the mean streets of Brooklyn. When a classmate commits suicide in the aftermath of an unspeakable act, young Frank uncovers a secret dark enough to blacken the purest of hearts. 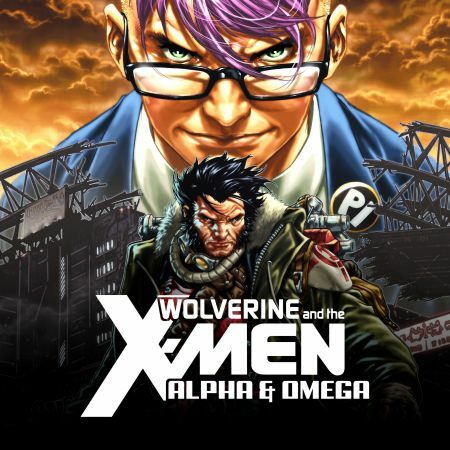 Thus begins his first journey on the road that will eventually turn him into the man known as the Punisher, a journey that will bring him face to face with the Tyger: a creature not made by God, but just as vital to the world as anything He created. THE CELL: From the darkest bowels of Riker's prison, the old men preside over their empire. Nothing goes down without their say-so; no one draws a breath without their permission. And when a riot explodes, they need only fortify their defenses and ride it out. But someone else is weaving his way through the bloodstained halls, their newest neighbor: Frank Castle. 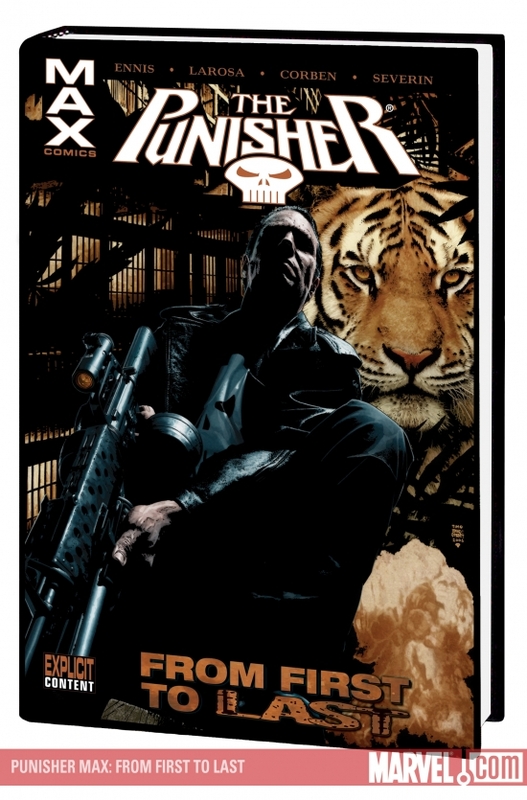 THE END: Legendary artist Richard Corben joins definitive Punisher writer Garth Ennis for Frank Castle's last stand! In a world gone mad, the Punisher just might be the sanest man on Earth. Now he's heading home, to the place it all began, and heaven help anyone who stands in his path. 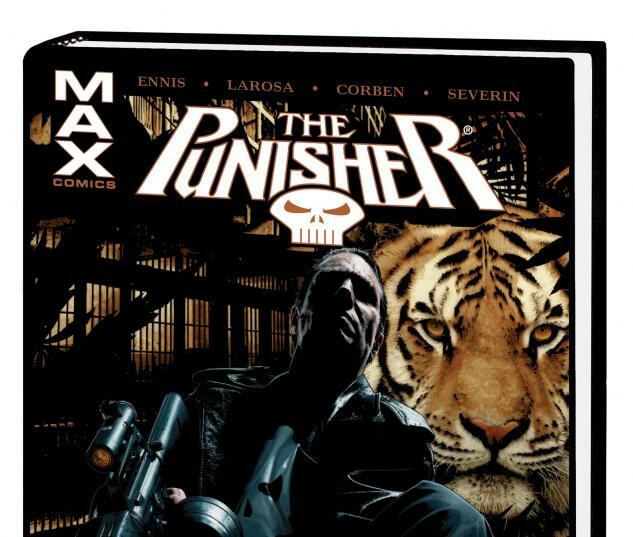 Collects PUNISHER: THE TYGER, PUNISHER: THE CELL, PUNISHER: THE END.